Today, I want to show you how to position your customer within your brand story so that customers begin to care about your brand and the fantastic things you do. You’re going understand how to create a story brand message that makes your business remarkable in the eyes of your customer. You see your business as remarkable; it’s your customers you need to convince. Before we move on, have you downloaded the free content creation checklist? If not, the link is down below. Discover how to create content that attracts loyal fans and converts them to customers. 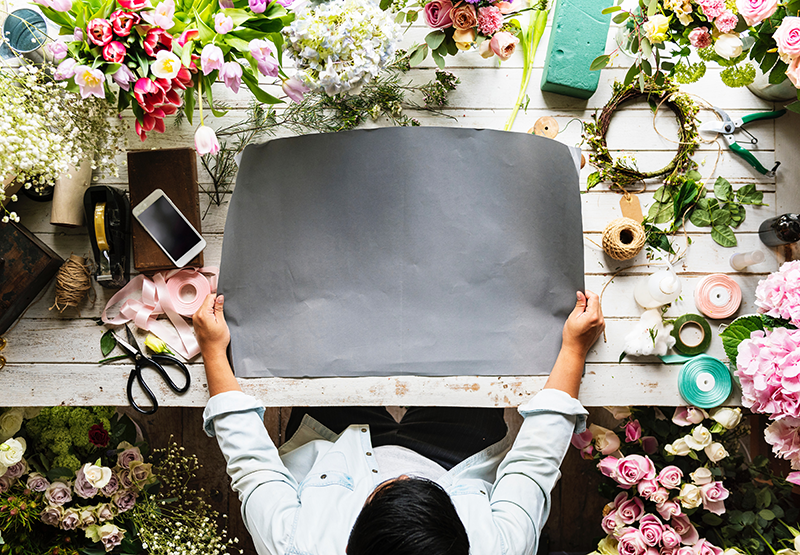 We worked with a client, a florist who wanted to expand her online reach. Our client sells absolute gorgeous flower arrangements for different occasions. She operates digitally from her kitchen, and that presents challenges she wouldn’t face if she had a storefront where people could pass by and see her flowers. When customers see the merchandise, especially goods like flowers they are more likely to come in and buy. Our client figured if she could get her photographer to take great photos of her product for her post on Instagram that would be enough. The trouble is people who like appealing images on Instagram are there to do just that. They log on and double tap photos that they love. They don’t log in necessarily thinking about buying flowers. When it comes to buying flowers, people will go to the florists directly. So a florist is faced with changing mindsets. She can’t just post pictures. She must also convince her fans to buy after they have seen her merchandise online. The truth is, nobody uses social media to buy anything. It’s the same with TV. People watch their favourite movie or programs and never switch on thinking for a second about the adverts they may see from companies trying to convince consumers to buy from them. So every business is faced with that same conundrum as our client. They must create social media content that convinces consumers to buy. The old ways of Marketing aren’t working. Purchasing decisions are being based on social media content. Have you ever wondered why you ignore some content that brands put out on social media? Usually, it’s because you don’t care enough about the content or the brand has failed to answer one of three questions. One, what is the problem that the brand is solving. Secondly, how is the problem solved? and thirdly, what life is like before or even after the problem is solved. Without creating content that tells a clear brand message, you will merely add to the noise. You won’t be able to build a profitable business if your customers don’t understand you. They will also ignore you. They won’t value your content. They won’t buy from your company. You can’t build a successful business without creating content where the customer understands what you offer and how it helps to solve their problems. Now, just because you create content that you like or wrote a tweet you think is interesting if it doesn’t fit within the context of your brand message get rid of it because you’ll just be adding to the noise. You haven’t got time to create content that is noise. You’re supposed to be attracting customers. If you believe that the product you offer is appealing and if you can get the message across successfully to your fans, you will succeed. With brand story messaging you can create content that will attract the right type of customer who wants to do business with you and prefers you. Create compelling content that gets results. One strategy to developing a persuasive brand story message is to make your customer the hero of your story. Your customer must be the hero of your story and not your product — customers who are heroes of a brand’s story, care. Nobody remembers companies who create noise. Ordinarily, before customers care about your content, they have to feel great about consuming your content. Your content must make them feel good. Does your content do that? When your visitors go to your website or visit your social media profiles are they able to answer how your content makes them successful? No? Make customers the superman of your story if you want more attention for your brand. If your customers can look at your content and see how your brand addresses their challenges and helps them to win at life, they begin to like you. They will start to see you as a leader. Making your customers happy with your content is the key to having your brand remembered. Become remembered. Be remarkable. Remarkable meaning, fans, audiences and existing customers will talk about you. The critical point to remember is that people retell great stories. Your customers will talk about you with the stories that you share placing them as the hero. Most people love talking about themselves and sharing stories with others that make them look good. Give them a story that they can tell others.